My last article discussing the benefits of eating small amounts of high quality dark chocolate was seen and read by literally thousands of people who also made hundreds of comments. A few of these comments told of getting headaches or stomach aches after eating chocolate. And a few discussed how they just didn’t like chocolate. However, one from a man in Europe, flat out stated that the entire piece was complete rubbish and I shouldn’t be writing such things. It goes on to say that there are several studies showing that chocolate is harmful for people with multiple sclerosis. And that comment sent me off to the internet for a three hour plus search to see if I could find these studies that he was referring to. My search came up empty as to any study that found chocolate to be bad for people with MS. What I could find basically said that if chocolate, or anything for that matter, makes you feel worse after eating it, then don’t eat or drink it. The closest thing that I could find to a study that was not favorable to chocolate came from a Naturopath site and their belief that MS is primarily a disease that is being caused by food allergies of which chocolate could be one of these foods. You would think out of the thousands of people who read the article, some of which most certainly work in the health care industry, that one of them would have disputed what I wrote about, but not one of them did. What I did find of relevance, which wasn’t a whole lot, is copied below with links so you can read it for yourself. And I encourage anyone to do their own searches as I could have missed something along the way. And with that said, I stand behind what I wrote a couple of weeks ago! Why Dark Chocolate for Peripheral Vascular Disease? Previous studies suggested dark chocolate may have a role in helping people with peripheral vascular disease. Dark chocolate can help the diseased blood vessels dilate; allowing more blood flow, according to a study in the journal Heart in 2011. Dark chocolate also has properties that block chemicals in the body that constrict the blood vessel, researchers from Heinrich-Heine-University in Germany found. Finally, as mentioned in my prior column, dark chocolate improves body inflammation, is an antioxidant, and can help with certain parts of our cholesterol, all of which contribute to the growth and stability of the atherosclerotic plaques. What’s New With Dark Chocolate? A new study of dark chocolate included twenty patients with an average age of approximately 70 years and with moderately severe peripheral vascular disease. The authors, from Rome, Italy, wanted to understand what happened to the function of the arteries and exercise capacity 2 hours after people ate 40 grams of dark chocolate (40 grams of dark chocolate on average is about 200-220 calories, and 1.4 ounces). The investigators studied blood flow into the patient’s limbs before and after consuming the dark chocolate. They also performed treadmill exercise testing. The patients were studied after having 40 grams of dark chocolate and then a second time after receiving a placebo chocolate (milk chocolate). Even with a single treatment the findings were quite interesting. In summary, dark chocolate improved blood flow through mechanisms related to relaxation of the arteries (nitric oxide) and oxidative stress and as a result improved walking distances and times. We currently don’t know how much dark chocolate is too much. So if you are a dark chocolate enthusiast, look to use 40 grams (1.4 ounces) a day as this is what has shown in this study to provide benefit. Hopefully these studies will continue to stimulate investigators to look at multiple doses to allow the consumer to receive the maximum benefit without risks. I use chocolate- dark chocolate- to battle pain which presents in a certain part of my brain. It works quite well for me and the pain disappears quite quickly. Yesterday I had this pain twice in one day which is rare. Still, each time the pain hit, the dark chocolate was 100% effective- for me- in melting the pain. I read of a recent study in Italy using chocolate to combat dementia and to slow down Alzheimer’s. Though the study is still inconclusive, the initial results have been quite promising. Knowledge is important and I always encourage others to read and learn because it is a lifelong pursuit. If we do not use our brain, we will in fact lose it. The saying ‘use it or lose it’ applies to muscles and brain both! Now I do not have dementia nor Alzheimer’s, but I will keep using it for my MS pain! Foods which are high in magnesium include raw spinach, squash and pumpkin seeds, soy beans, fish (mackerel), brown rice, avocados, plain non-fat yogurt, bananas, dried figs, and dark chocolate. Foods high in folate include raw spinach, black eyed peas, lentils, asparagus, romaine lettuce, avocado, broccoli, mango, oranges, and wheat bread. Would you be willing to independently undertake the effort to study your own nutritional intakes and take note of any effect on specific MS symptoms you may have, including fatigue? The results would be interesting. The following from a Naturopath site was about the only extremely negative comment about chocolate that I could find in two hours of searching. And again even here it assumes that a food allergy may be the cause of Multiple Sclerosis. 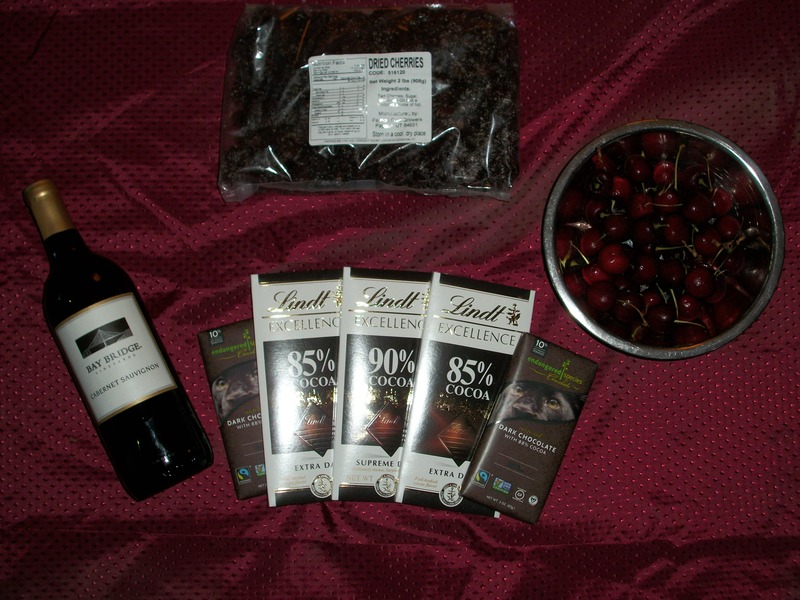 This entry was posted in FOOD, MS and Bill Walker and tagged Antioxidants, Chocolate, Inflammation, Multiple Sclerosis on July 20, 2015 by msandbeyond. Thank you for the comment Jennifer. Sorry about you having MS though! I find chocolate very helpful and it’s never caused my MS to get worse. It’s not often mentioned, but the endorphins it creates have their own positive impact that should not be ignored. Now, I do make my own chocolate, so that might be a major factor. Dairy and sugar can be highly inflammatory, especially if you have sensitivities to them. But it’s very easy to make your own at home without those ingredients. All you need is coconut oil, cocoa powder, vanilla (optional), and stevia (I use liquid) to taste. This makes a very nice dark chocolate, and has the added benefit of coconut oil which is important for brain health. Drizzle some over frozen blueberries and you’ve got an absolutely decadent dessert. Make some bars with dried sour cherries and you’ve got a fantastic natural anti-inflammatory treat. This is interesting. I’ll see if I can remember it long enough to actually try it! Thank you for the advice! No problem! It’s pretty foolproof. Just go by taste to decide how much cocoa and sweetener you like in it. Yep, it’s not for everyone, I agree! Thanks for commenting. RSS feeds to my Google аccount. Yes, I agree that if you have a bad response to chocolate then certainly don’t eat it at all. I have found that many people who have autoimmune diseases say that they can eat a small amount of chocolate without any negative side effects, which includes me as well. Thanks for the comment Rob and I hope that your diet continues to bring you a positive response! Thank you Connie. I appreciate your words of appreciation!